Godawari Group and government approved Speed Governor systems are sold in 24 countries. Our 1 year warranty and 24x7 support makes Godawari Speed Governors a safe choice for your organization for commercial vehicles such as trucks, buses, pickups. With proven credibility of lakhs of kilometers on the road, our product range has fuel type, cable type, and electronic speed limiters for you to choose from. 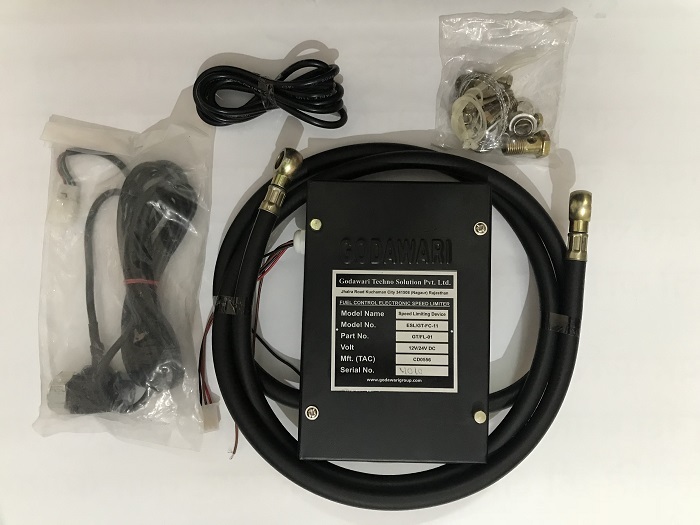 Godawari Speed Governor is a fuel based electronic road speed limiter. This smooth operating device increases engine life, fuel efficiency, and reduce maintenance cost of your vehicles. The product is ideal for Fleets, where the cost of device could be recovered within a month. Godawari Speed Governor interfaces with the pedal of the vehicle to limit its speed. The motor-controlled speed governor controls the speed of the vehicle by a precise adjustment of accelerator cable. 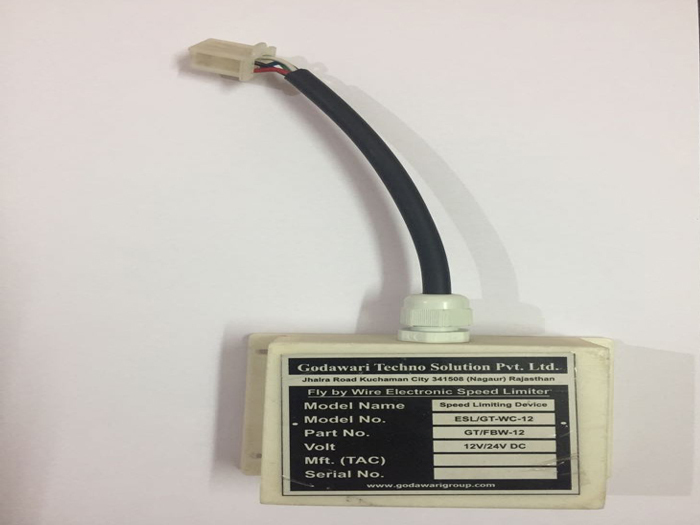 Godawari is tried and tested traditional speed limiter widely used in Asian countries. 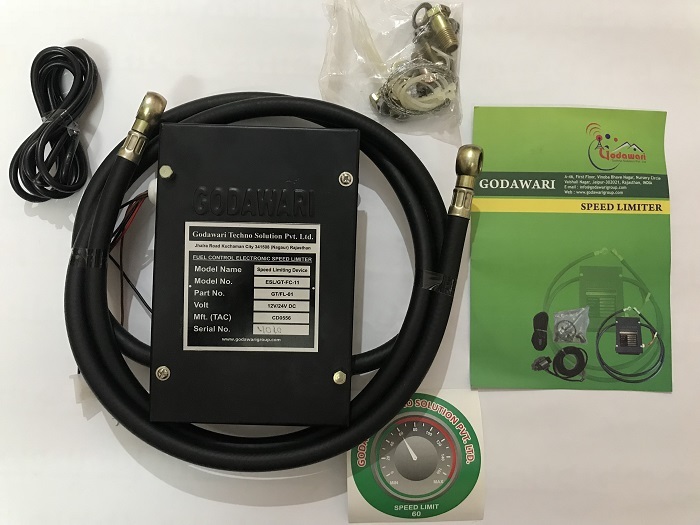 Godawari SafeDrive Speed Governor is a technologically advanced speed governor device that works best with electronic engines and accelerator pedals of the latest generation of vehicles. A Godawari's tamper-proof speed governors are certified, and are made to government regulations. Godawari Speed Governors are ideal for the Railways to use in their road vehicles due to near zero maintenance requirements. Heavy vehicles in the mining industry including dumpers and tankers can use Godawari speed governors as they are robust and maintenance free. Godawari speed governors gets you the best fuel efficiency, lesser accidents and repair costs, and lower insurance premiums. Government of India has made speed governors mandatory for all commercial vehicles with more than 9 seats, except fire department and police force. Godawari speed governors are designed to help companies save up to 10% of annual fuel expenses, hence an ideal choice for logistics companies.